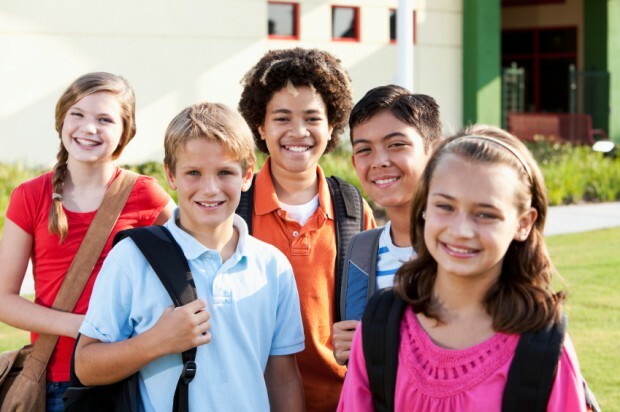 In our school age program your child will continue to growth academically, socially and emotionally. We partner with parents and schools to focus on social interactions, educational skills and continue to instill in children positive self images. At Kid Kampus, children will participate in various activities to reinforce basic skills being taught in school. Children will choose from centers that include math, science, literacy, art, music, fine and gross motor skills, and computers. Several clubs are also offered, including newspaper club, garden club and drama club. School age children are given opportunities to create projects of interest and to develop new skills. Outdoor play and our unique full-size gymnasium provide a means to physical and social skill development through team activities. There is also space to simply relax and socialize after a busy day at school. A quiet place for homework completion is also provided for those who work best after school. In addition, each month we will plan special community events and develop community partnerships to demonstrate good citizenship for our children. Some of these activities will include food and clothing drives, holiday gift-giving and making cards for the military and local nursing homes.